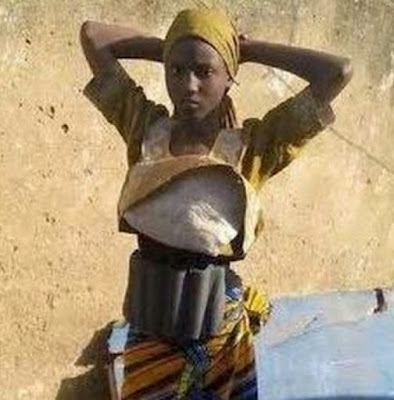 Lord, today we pray about Boko Haram’s use of girls as young as age 7 as suicide bombers. Lord, we are so sad to learn of today’s shooting of three girl suicide bombers in Yola, Nigeria. We are so thankful they were stopped, but devastated that this even happened. Lord, we pray for the hearts of those leading Boko Haram. Reach them. Stir up their consciences. May they not be able to live with themselves for even considering sending children into harm’s way. We pray for those children being recruited or forced into these roles of killing others. We pray that, no matter how devastated they are by their circumstances, that they will not allow themselves to harm others. We pray that you guard their hearts and minds, so they will not be brainwashed into adopting their captors’ false teaching and hateful lifestyle. Thank you for those in Nigeria who have prevented many suicide bombings through their diligent efforts. Please give them ever-increasing success as they seek to prevent terrorists from destroying their people. In Jesus’ name we pray, amen.